Everdays, a Birmingham-based social platform that builds communities around milestone life events, today announced the close of its Series A funding round, bringing its valuation to nearly $100 million in 20 months since its launch. The round brought the company $12 million. The round was led by Houston’s Gordy Cos. and quadruples Everdays’ valuation from its seed round in 2017. The company plans to at least double its team of 30 over the next year, hiring in all areas. 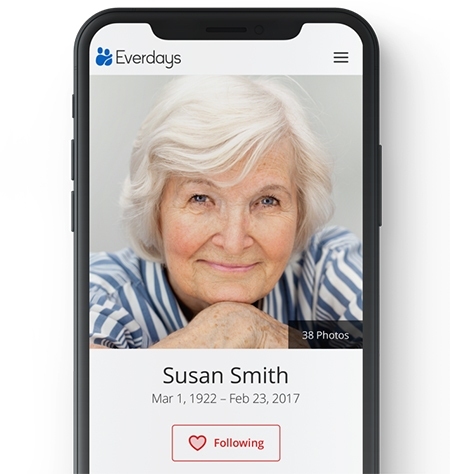 Everdays has enabled an expansion in the community and content generated around end-of-life events, creating a market where none previously existed. More than 1,000 funeral homes use its cloud-based platform, and 1.8 million families and friends have connected since its launch, putting the company on track to capture 10 percent of the 2.7 million annual deaths in the country in the next three years. On the platform, families create an announcement where community, dialogue, events, content, and commerce converge to provide support during hospice care or when a loved one passes. “Today, the support a family receives during these critical times is small, short-lived, and painfully analog,” says Mark Alhermizi, CEO of Everdays. “It’s what I experienced when my dad passed away a few years ago. It was such a hard and debilitating time, and there was no technology to guide or support the process to make it easier, for me or the community of family and friends who wanted to support me. Demand for the offering was so strong that competitive bidding allowed Everdays to pass the traditional venture capital in favor of high-net worth family investment offices. The app is available on both iOS and Android. It provides free memorial announcements and keeps users up-to-date about deaths in their networks, enabling them to share memories, events, and condolences. The platform uses artificial intelligence to connect users based on details about their hometown, high school, military service, and funeral homes in their community to deliver automatic announcements. Everdays is featured in the January/February issue of DBusiness magazine, on newsstands now.